Little boy beds are the best. I thought Vince was going to be my last baby, I truly did. 4 kids is a big family by todays standards. And we were completely fine with that. And so, fully believing that he was my last, I treasured every little thing. I knew I should sleep train him. 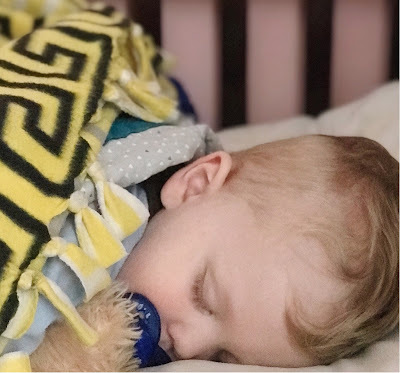 I knew it would be better for him and me to suffer through a little bit of discomfort as he learned to fall asleep on his own. But I didn’t want to miss out on a single little tiny moment, and I rocked him to sleep. 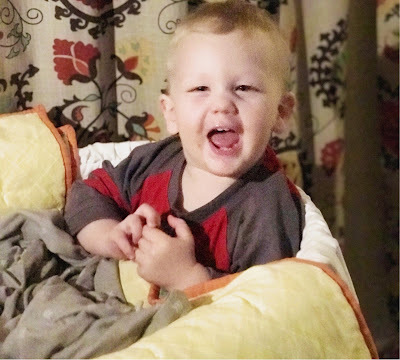 Every night, every nap, we could be found on the rocking chair, me soothing him with lullabies and kisses, him wrapped in his baby quilt, hand down my shirt. His hand always had to be down my shirt. And I loved it. I still do. I love rocking him, but it sure makes things harder for me now that Kip is here. Be that as it may, I made my bed and now I have to lie in it. So, I rock Vince to sleep twice a day. And then I get to carry him to his bed. Every day, I nearly wake him from laughing. 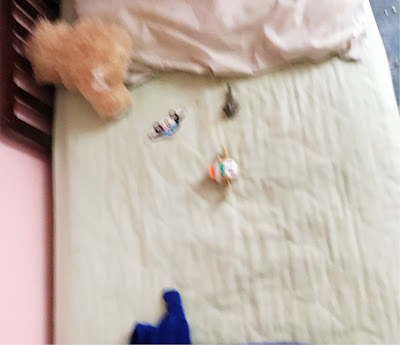 I pull back the covers to put him down, and am always greeted by little boy things. Today it was a lego shark, Pokémon toy, puzzle piece of a car, and a teddy bear. Some days there is a mountain, making a perceptable bump beneath the covers. Some days it is just a block or a stuffed animal, invisible until it is time to lay him down. I love how Vince is the epitome of a little boy. He loves his pockets and wants to put everything in them. Trucks and trains rule the world, until an airplane is found. He wants to watch hours and hours of NASA rockets lifting off (thank heavens someone made a 10 hour loop of that!) and the MGM lion roaring. Throw in the inevitable teasing of his sisters and he is text-book perfect! Complete with a pirate’s treasure filled bed. Sounds like the boy with many treasures is quite a treasure himself. Hope you all have a wonderful Christmas. I posted a circletime story for :Christmas Eve, if you are looking for one. It may be too "old" for some of your kids, but the poem contained inside it might be just right.